Florida Public Adjusting Firm assists policyholder in recover 4X original offer! Our team of Florida Public Adjusters proved their value on this Palm Beach County Claim. 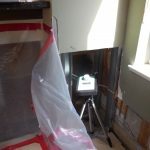 In this case, the insureds had noticed a bit of water and suspected mold damage in their kitchen. They hired a mold remediation company to come in and fix their problem. Upon minimal tear out, it was apparent that the damages far exceeded what was originally expected and the insureds then filed a claim and retained our firm to assist in the claim. Upon meeting with their adjusters, the insurance company issued payment of $47k which was a far cry from our estimate which was over $200k. In the end, we recovered our full estimate of $209k. To put it in perspective, the settlement for this North Palm Beach Insurance Claim was increased by over 4X the original offer. In the event that you suffer damage to your home or business anywhere in the State of Florida call 800-801-2099. Our Florida Public Adjusting Firm team includes past insurance company adjusters and contractors. We know how to compile, file and ultimately recover the maximum and proper settlement for your loss. Free Claim Review with a Florida Public Adjuster!